We are always glad to talk about the ways in which right to counsel services are being provided and how America can live up to its constitutional promise. If you’d like to have us speak to your organization, please contact our staff. January 18th — Supreme Court Commission on Pretrial Practices (Chicago, Illinois): 6AC’s Executive Director David Carroll and Deputy Director Jon Mosher present an overview of the 6AC’s upcoming statewide evaluation of adult trial-level indigent defense services, funded through a grant of the U.S. Department of Justice, Bureau of Justice Assistance. The presentation will assist Illinois in selecting a representative sample of counties to be closely studied through on-site court observations and interviews. December 14th — Joint Legislative Committee on the Judiciary (Salem, Oregon): 6AC’s Deputy Director Jon Mosher presents the final findings and recommendations, for response and comment, from 6AC’s evaluation of public defense services provided by the Public Defense Services Commission and the Office of Public Defense Services in Oregon’s trial level state courts. In short, the State of Oregon has created a complex bureaucracy that collects a significant amount of indigent defense data, yet does not provide sufficient oversight and financial accountability. In some instances, that complex bureaucracy is itself a hindrance to effective assistance of counsel. The bureaucracy obscures an attorney compensation plan that is at root a fixed fee contract system that: pits appointed lawyers’ financial self-interest against the due process rights of their clients; and is prohibited by national public defense standards. The State of Oregon should require that services be provided free of conflicts of interest, as is constitutionally required, by abolishing fixed fee contracting and other forms of compensation that produce financial disincentives for public defense lawyers to provide effective assistance of counsel. With the abolition of fixed fee contracting, PDSC/OPDS should pay private lawyers at an hourly rate that accounts for both actual overhead and a reasonable fee, and/or hire government employed attorneys for trial level services. OPDS should have the appropriate resources to provide oversight of such a private attorney and state public defender employee system. December 13th — Oregon Advisory Committee and Public Defense Services Commission (Salem, Oregon): 6AC’s Executive Director David Carroll and Deputy Director Jon Mosher present the final findings and recommendations, for response and comment, from 6AC’s evaluation of public defense services provided by the Public Defense Services Commission and the Office of Public Defense Services in Oregon’s trial level state courts. December 7th — Fair and Just Prosecution Annual Convening (Houston, Texas): Along with co-panelist Lisa Foster, Director fo the Fines and Fees Justice Center, 6AC’s Executive Director David Carroll discusses deficiencies in indigent defense systems and what prosecutors can do to improve the right to counsel, focusing on the actual denial of counsel that occurs when prosecutors enter into plea negotiations with unrepresented defendants. November 29th — Southern Methodist University School of Law, Deason Criminal Justice Reform Center, Rural Criminal Justice Summit (Dallas, Texas): 6AC’s Executive Director David Carroll moderates a panel presentation on “Resource challenges in Treatment, Counseling and Services Provision.” He is joined on the panel by: Francis Abbott, Executive Director of the Louisiana Board of Pardons and Parole; Betty Taylor, Chief of Police for Winfield, Missouri; and Natassia Walsh, Program manager for the National Association of Counties. 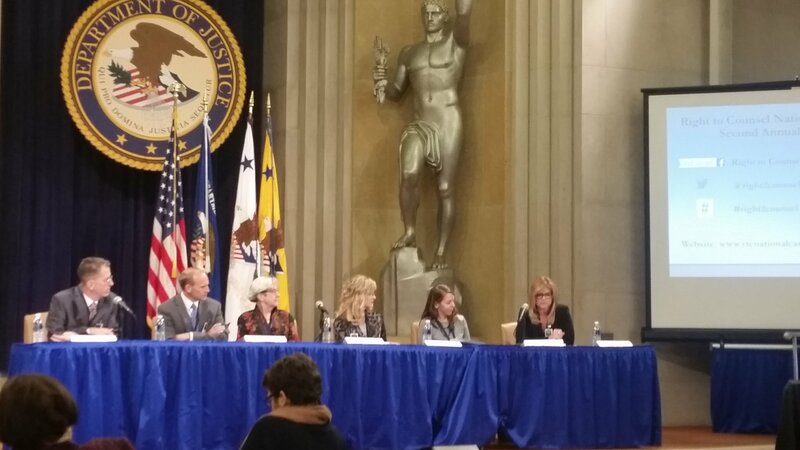 The panelists discuss issues and solutions to the challenge of providing rural victims, family members, defendants, detainees, and returning citizens with services such as medical, mental health and substance abuse treatment, educational support, and employment counseling. In addition to moderating the panel, Carroll discusses the difficulties of providing effective assistance of counsel in rural America. November 28th — Texas Panhandle criminal justice stakeholders’ meeting (Amarillo, Texas): 6AC’s Executive Director David Carroll and Deputy Director Jon Mosher present “Liverty vs. Tyranny: The right to counsel and our uniquely American adversarial system of justice,” focusing on the history of the right to counsel in America, the 6AC’s philosophy for ensuring the Sixth Amendment right to counsel, and 6AC’s method of evaluating indigent defense systems. September 27th — Oregon Advisory Committee (Salem, Oregon): 6AC’s Executive Director David Carroll and Deputy Director Jon Mosher present ongoing preliminary findings from 6AC’s evaluation of public defense services provided by the Public Defense Services Commission and the Office of Public Defense Services in Oregon’s trial level state courts. September 19th — Indiana Task Force on Public Defense (Indianapolis, Indiana): 6AC’s Executive Director David Carroll provides technical assistance expertise to the Task Force in its final meeting as they advance a reform agenda for the 2019 legislative session, including seeking reimbursement of counties for misdemeanor representation, a statewide appellate defender, and increased staffing for the Indiana Public Defender Commission. August 17th — Nevada Right to Counsel Commission (Carson City, Nevada): 6AC’s Executive Director presents 6AC’s final findings and recommendations resulting from the 6AC’s assessment of adult indigent defense services in rural Nevada. 6AC’s report The Right to Counsel in Rural Nevada – Evaluation of Indigent Defense Services, explains for the first time how indigent defense services are provided in every trial level court in the state outside of Clark County (Las Vegas) and Washoe County (Reno), collectively referred to in Nevada as the “rural counties.” The evaluation assessed the right to counsel services provided in those rural counties against prevailing national standards and Sixth Amendment case law. The report finds there are longstanding, deep-rooted problems in the rural courts, including: a dearth of public defense data, especially regarding caseloads; a prevalence of fixed fee contracts; a pervasive lack of independence of the defense function from undue political and judicial interference; and a failure to appoint attorneys early enough in the criminal process to allow effective representation. Municipal courts in Nevada are a case of particular concern, where some judges chill the right to counsel by telling defendants they will be charged for the cost of their representation. June 28th — Nevada Right to Counsel Commission (Carson City, Nevada): 6AC’s Executive Director presents 6AC’s preliminary findings and recommendations from the 6AC’s assessment of adult indigent defense services in rural Nevada. June 6th — Oasis Academy’s Project Citizen class (Fallon, Nevada): The National Project Citizen initiative encourages high school students to get involved to help solve local issues. For its participation in that initiative, the Oasis Academy chose the topic of reform of indigent defense services in Nevada. 6AC’s Executive Director meets with the students to discuss their findings that the State of Nevada does not ensure constitutionally effective assistance of counsel. May 23rd — Oregon Advisory Committee (Salem, Oregon): 6AC’s Executive Director David Carroll and Deputy Director Jon Mosher present the preliminary findings from 6AC’s evaluation of public defense services provided by the Public Defense Services Commission and the Office of Public Defense Services in Oregon’s trial level state courts. April 20th — Indiana Task Force on Public Defense (Indianapolis, Indiana): 6AC’s Executive Director David Carroll discusses various ways that states have enforced indigent defense standards. Also providing information to the Task Force are: William Leahy, Director of the New York State Office of Indigent Legal Services; and the Honorable Thomas Boyd, District Court Judge for Michigan’s 55th Judicial District in Ingham County (Lansing) and member of the Michigan Indigent Defense Commission. April 19th — Michigan Indigent Defense Commission and Wayne County Commission (Detroit, Michigan): 6AC’s Executive Director David Carroll presents the findings from the 6AC’s evaluation of the public defender office in Wayne County (Detroit), Michigan. The public defender office handling a significant portion of the felony representation in Detroit was flat funded for 16 years. This despite a criminal national report, a lawsuit, and statutory reform, all intended to ensure effective representation of the indigent accused throughout Michigan. Although Wayne County paid the same dollar amount each year for the services of the public defender office, increases in workload and overhead expenses caused the amount available to the public defender office for the defense of each case to steadily decrease. Among other effects, attorneys with 20+ years of experience earn just $35,000 annually to provide representation in murder cases and other felonies without any support staff. 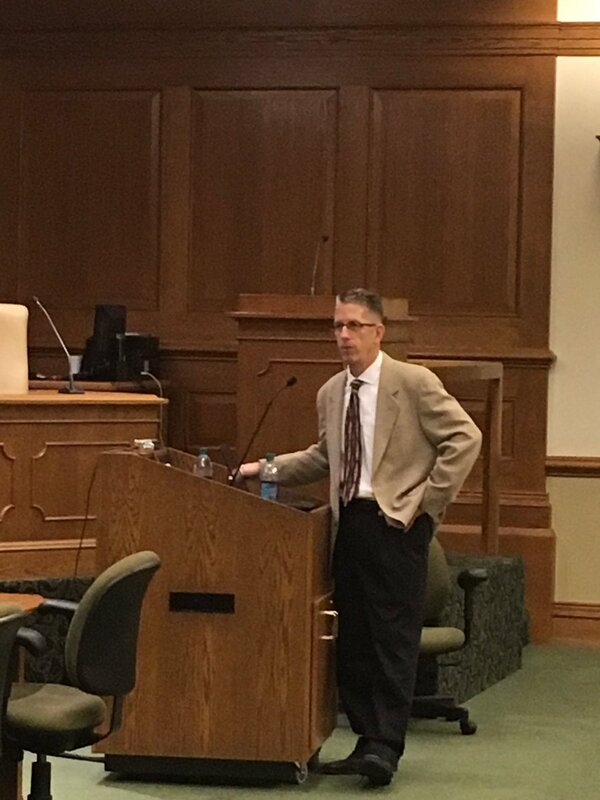 April 10th — Mississippi Public Defender Task Force (Jackson, Mississippi): 6AC’s Executive Director David Carroll discusses how best to overcome the systemic deficiencies identified in the 6AC’s statewide evaluation of Mississippi’s adult felony trial level indigent defense services. March 29th — Nevada Right to Counsel Commission (Carson City, Nevada): 6AC’s Executive Director David Carroll presents an update on the status of the 6AC’s assessment of adult indigent defense services in rural Nevada. March 27th — Boston University School of Law (Boston, Massachusetts): 6AC’s Executive Director David Carroll and Counsel Mike Tartaglia discuss the ways in which deficiencies in indigent defense systems contribute to wrongful convictions. Special emphasis is placed on undue political and judicial interference with the independence of the defense function and on the use of United States v. Cronic to get at how systemic deficiencies prevent even the best lawyers from providing constitutionally effective right to counsel services. March 26th — Pennsylvania Senate (Harrisburg, Pennsylvania): At the invitation of Senator Stewart Greenleaf, Chair of the Senate Judiciary Committee, 6AC Executive Director David Carroll testifies at a joint hearing of the Senate Appropriations Subcommittee on Public Safety and Judiciary Committee regarding funding of indigent defense representation, as the Senators consider a wide array of criminal justice reform issues. February 20th — Nevada Right to Counsel Commission (Las Vegas, Nevada): 6AC Executive Director David Carroll updates the commission on the on-going evaluation of indigent defense representation in rural Nevada. As part of the evaluation, the commission selected five of the state’s 15 rural counties for in-depth study through on-site interviews and court observations: Elko, Humboldt, Lander, Lyon, and Nye counties. February 15th — Indiana University – Perdue University (Fort Wayne, Indiana): 6AC Executive Director David Carroll joins a panel discussion of Indiana’s statewide systemic deficiencies in providing right to counsel services. The discussion is moderated by Rebecca Green of WBOI public radio. Other panelists are Allen County Superior Court Judge Fran Gull, Allen County Deputy Prosecutor Mike McAlexander, and Indiana Public Defender Council Executive Director Larry Landis. The conversation will be broadcast on WBOI radio and CollegeTV. February 13th — Committee on Judiciary (Augusta, Maine): At the invitation of the House and Senate co-chairs, 6AC Executive Director David Carroll and 6AC Counsel Mike Tartaglia assist the committee in understanding constitutional requirements for providing legal representation to indigent people, including national standards addressing independence of the defense function, as the committee debates restructuring the Maine Commission of Indigent Legal Services. February 12th — Mississippi Public Defender Task Force (Jackson, Mississippi): 6AC Executive Director David Carroll discusses the findings and recommendations from the 6Ac’s forthcoming statewide evaluation of adult felony indigent defense services. February 9th — Indiana Task Force on Public Defense (Indianapolis, Indiana): 6AC Executive Director David Carroll continues work with the Task Force members as they develop recommendations to improve the state’s oversight of Sixth Amendment right to counsel services. January 26th — Nevada Right to Counsel Commission (Carson City, Nevada): For the inaugural meeting of the commission, 6AC Executive Director David Carroll explains Nevada’s unique right to counsel history, the known current deficiencies in providing indigent defense representation in rural counties, and a research plan to objectively document and evaluate indigent defense in rural Nevada. January 25th — Indiana Task Force on Public Defense, Sub-Committee of Delivery Models & Structure (Indianapolis, Indiana): 6AC Executive Director David Carroll works with sub-committee members as they debate potential statewide structures and models for the delivery of indigent defense. Topics include: the advantages and disadvantages of a statewide appellate defender; how some states regionalize the oversight of trial level indigent defense services; and methods states use to get counties to comply with statewide standards. 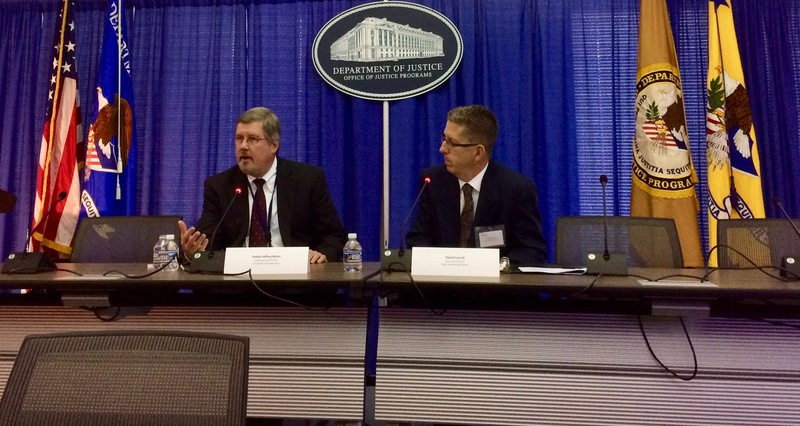 December 8th — National Legal Aid & Defender Association, 2017 Annual Conference (Washington, D.C.): 6AC Executive Director David Carroll discusses the technical assistance and training available through the U.S. Department of Justice, Bureau of Justice Assistance, in the panel presentation “Looking Back and Moving Forward: Stories and Action Steps from Federally Funded TTA Providers.” Joining him in the presentation are Priya Sarathy-Jones (BJA), Marea Beeman (NLADA’s Director of Research Initiatives), Jon Rapping (Founder/President of Gideon’s Promise), and Lisa Vavonese (Center for Court Innovation’s Deputy Director for Update Office and Peacemaking Coordinator). December 1st — Maine Work Group on Indigent Legal Services (Augusta, Maine): Maine’s task force continues to study how to achieve greater cost-certainty in providing state-funded indigent defense services. 6AC Executive Director David Carroll and Staff Counsel Mike Tartaglia provide technical assistance to the task force, explaining how other states balance the need to ensure effective representation and the desire for cost efficiency. November 14th — Maine Work Group on Indigent Legal Services (Augusta, Maine): Maine’s legislature created a task force to examine how its indigent defense services can be provided with greater cost certainty. 6AC Executive Director David Carroll and Staff Counsel Mike Tartaglia explain the importance of oversight and accountability in a state-funded system where private attorneys bill hourly for providing representation to indigent people. November 10th — Indiana Task Force on Public Defense (Indianapolis, Indiana): 6AC Executive Director David Carroll addresses the task force members about the findings and recommendations in 6AC’s report, The Right to Counsel in Indiana: Evaluation of Trial Level Indigent Defense Services. He explains how the model Indiana currently uses to provide public defense representation legitimizes and institutionalizes the choices made by some counties to not meet the constitutional requirements for providing effective representation. Carroll also guides the task force members in examining models used in other states to deliver Sixth Amendment services. November 2nd — U.S. Department of Justice, Bureau of Justice Assistance, Right to Counsel National Campaign (Washington, D.C.): 6AC Executive Director David Carroll interviews Tennessee Supreme Court Chief Justice Jeffrey Bivins about the court’s support for legislation to improve the provision of counsel to indigent defendants in Tennessee, including by creating a statewide oversight commission and state appellate defender office, and by increasing the compensation paid to the private attorneys appointed to represent the poor. 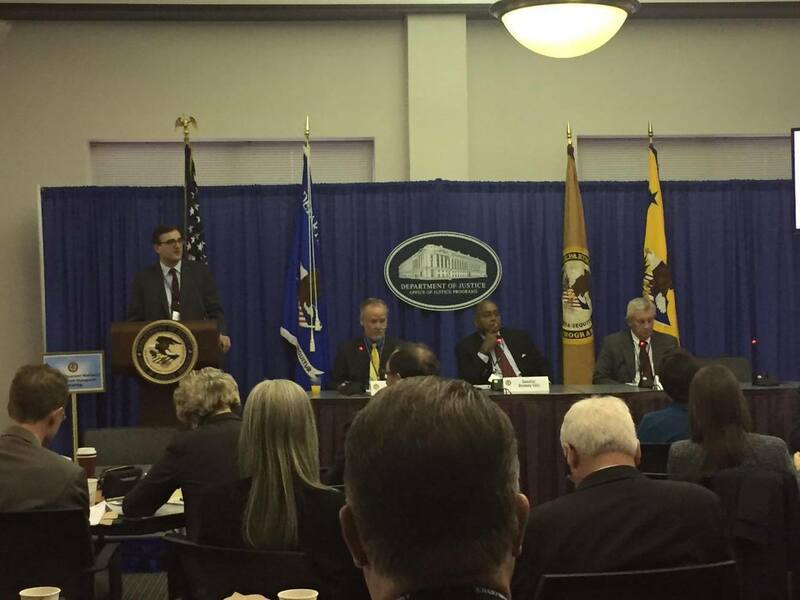 Speakers at this National Consortium include Deputy Attorney General Rod Rosenstein. October 27th — Oregon Public Defense Management Seminar (Newport, Oregon): 6AC Executive Director David Carroll speaks about supervision and quality control in systems that use contracts to provide representation to indigent defendants, at the annual seminar sponsored by the Oregon Public Defense Services Commission and the Oregon Criminal Defense Lawyers’ Association. He also addresses a meeting of the statewide Public Defender Services Commission to explain the current state of the Sixth Amendment right to counsel in America. August 11th — Indiana Public Media, WFIU Radio “Noon Edition” live discussion (Bloomington, Indiana): 6AC Executive Director David Carroll joins Indiana Public Media Reporter Barbara Brosher, Indiana Public Defender Counsel Vice Chair David Shircliff, and Marion County Public Defender Agency Chief Counsel Ann Sutton to discuss Indiana’s failure to ensure effective representation for all people of limited means who face the potential loss of liberty in criminal or delinquency proceedings. 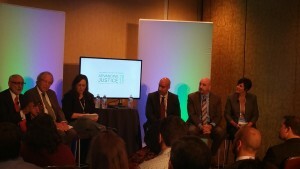 The live radio discussion is part of Indiana Public Media’s in-depth investigation into the public defender system in Indiana, “Justice For All?” – a three-part series in print, radio, and television. August 1st — National Criminal Justice Association, The National Forum on Criminal Justice (Long Beach, California): 6AC Executive Director David Carroll speaks at the annual conference of the National Criminal Justice Association, a membership organization of criminal and juvenile justice stakeholders and policymakers. Joining him in a panel presentation are Maha Jweid (Acting Director, Access to Justice), Genevieve Citrin (American University, Justice Program Office), and Jack Cutrone (NCJA). In their presentation “Securing Sixth Amendment Rights,” they discuss the technical assistance and training available through the U.S. Department of Justice and the partnerships it enables. 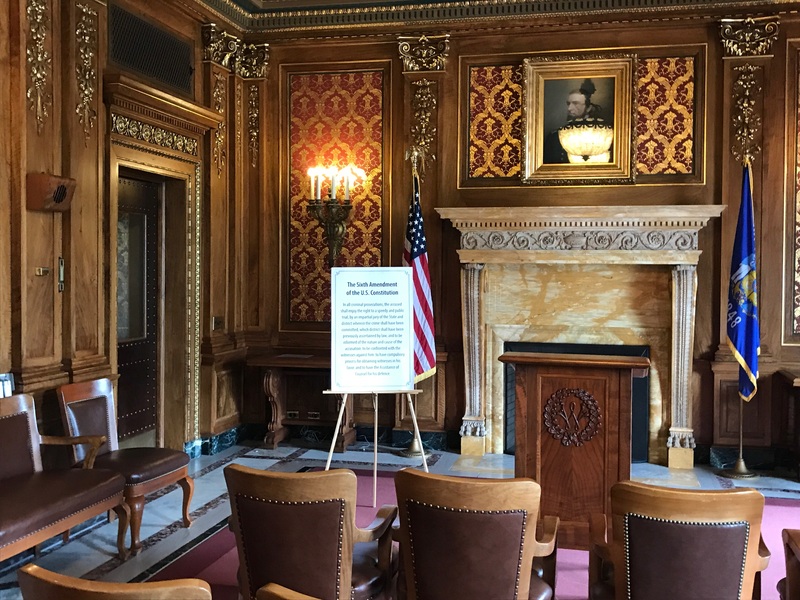 May 25th — Wisconsin Press Conference at the State Capitol Assembly Parlour (Madison, Wisconsin): Wisconsin pays attorneys only $40 per hour to defend the indigent accused. This is the lowest compensation rate in the country and has not changed in 20 years, since 1995 when the Wisconsin legislature reduced the rate from $50 per hour. David Carroll presents evidence from the 6AC report, Justice Shortchanged, showing that the constitutional imperative for independent, conflict-free public defense services has given way to fiscal considerations, at a press conference announcing the Wisconsin State Bar Association and Wisconsin Association of Criminal Defense Lawyers’ petition to the state Supreme Court to raise the hourly compensation rates and ban flat-fee contracts. April 27th — Washington Defender Association Conference (Winthrop, Washington): Independence is the first of the ABA’s Ten Principles of a Public Defense Delivery System, yet in the state of Washington this principle is not officially contained in the state’s Standards for Public Defense Services. 6AC Executive Director David Carroll, along with Bob Boruchowitz of the Defender Initiative at Seattle University School of Law, explains how best to create and preserve the independence needed to insulate public defense systems and attorneys from inappropriate interference by governmental bodies and other justice system participants. Topics focus on ethical, structural, and managerial considerations to ensure that the administration of justice is not compromised by disadvantaged public defense systems. 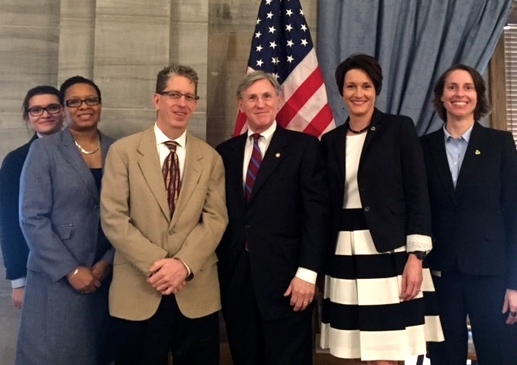 April 10th — Tennessee Supreme Court, Indigent Representation Task Force (Nashville, Tennessee): The Tennessee Supreme Court Indigent Representation Task Force releases its report, fulfilling its charge to determine how the state can deliver the right to counsel in a more efficient manner. 6AC Executive Director David Carroll participates in the press conference, following on 6AC’s provision of technical assistance to the Task Force supported by funding from the U.S. Department of Justice, Bureau of Justice Assistance. April 5th — Nevada Senate Judiciary Committee (Carson City, Nevada): The Nevada Senate Judiciary Committee is considering a bill to create a statewide Right to Counsel Commission. On written request of Senator Segerblom, chair of the Committee, 6AC Executive Director David Carroll provides technical assistance to the committee, explaining Nevada’s unique right to counsel history and the current deficiencies in providing indigent defense services in rural counties. March 28th — Boston University, School of Law (Boston, Massachusetts): David Carroll discusses the ways in which systemic indigent defense deficiencies contribute to wrongful convictions. Special emphasis is placed on undue political and judicial interference and the use of United States v. Cronic to get at how systemic deficiencies prevent even the best lawyers from providing constitutionally effective right to counsel services. March 22nd — Idaho Public Defender Commission & General Assembly (Boise, Idaho): 6AC Executive Director David Carroll discusses the progress made by the Public Defender Commission in implementing recent legislative changes to ensure the right to counsel, including comparisons to similarly situated states and next steps. March 10th — Federal CJA Panel Attorney District Representative Conference (Houston, Texas): 6AC Executive Director David Carroll discusses independence of the federal public defense services and the work of the Committee to Review the Criminal Justice Act Program. February 24th — Tennessee Supreme Court, Indigent Representation Task Force (Nashville, Tennessee): 6AC Executive Director David Carroll testifies about proposed reforms to Tennessee’s primary and conflict indigent defense services. January 13th — Tennessee Supreme Court, Indigent Representation Task Force (Nashville, Tennessee): In order to guarantee that the indigent representation system in Tennessee is addressing the needs of its recipients as well as benefiting the taxpayers, the Task Force is reviewing the state’s current system of providing representation to the poor. 6AC Executive Director David Carroll testifies about statewide indigent defense commissions. January 9th — Mississippi Public Defender Task Force (Jackson, Mississippi): 6AC Executive Director David Carroll and 6AC Counsel Mike Tartaglia discuss preliminary findings from 6AC’s statewide evaluation of public defense. 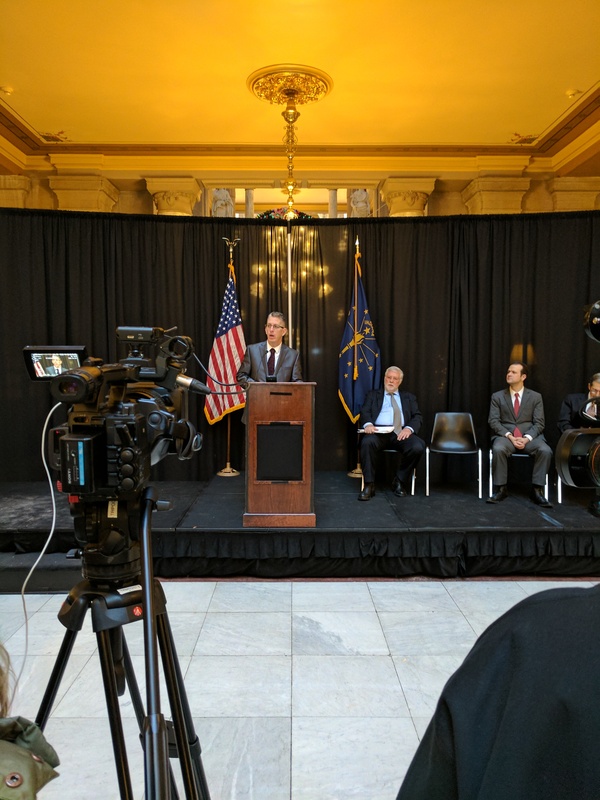 December 15th — Indiana Press Conference at the Capitol Rotunda (Indianapolis, Indiana): Beginning in the 1990s, the “Indiana Model” for providing public defense services was widely promoted as potentially the best way to improve the provision of the right to counsel in states throughout America. 6AC Executive Director David Carroll discusses how and why the system legitimizes and institutionalizes the choice of counties to not meet the constitutional parameters of effective representation, as detailed in the Sixth Amendment Center report released in October 2016. October 25th — U.S. Department of Justice, Bureau of Justice Assistance, Right to Counsel National Campaign (Washington, DC): 6AC Executive Director David Carroll co-moderates, along with Colette Tvedt of NACDL, a roundtable discussion on “Securing a Meaningful Right to Counsel: Perspectives on State Reforms.” The panel discusses how best to identify and overcome deficiencies in indigent defense systems, using legislation, litigation, and public education approaches, as considered from the vantage of different types of stakeholders including judges, state legislators, and public defense providers. Topics include: a) Utah’s consensus approach to reform and the advancement of evaluation standards; b) Idaho’s recent legislative reforms and why conservatives are in the forefront of advancing the right to counsel; c) federal litigation in Washington State and the role of the U.S. Department of Justice; d) excessive caseloads of public defenders in Missouri and launching a media strike; and, e) the future of the right to counsel in New York. Panelists are: Derek P. Pullan, Utah Fourth District Judge; Christine Perry, Idaho State Representative; Michael Barrett, Missouri State Public Defender; Eileen Farley, Public Defender Supervisor for the cities of Mount Vernon and Burlington (Washington); Corey Stoughton, Senior Counsel at the USDOJ Civil Rights Division; and William Leahy, Director, New York State Office of Indigent Legal Services. You can watch video of the National Consortium in two parts: Part 1 and Part 2. Mr. Carroll’s panel is found in Part 1 beginning at 55:40 and continuing in Part 2. October 24th — Columbia University, Columbia Law School, (New York, New York): 6AC Deputy Director Jon Mosher presents the “Indigent Defense State of the Nation” to a criminal adjudication class of 150 LL.M. and third-year law students. The presentation highlights the current problems in providing the right to counsel in Indiana, Utah, Louisiana, Missouri, and Nevada, as indicative of indigent defense deficiencies throughout the country. October 21st — Tennessee Supreme Court, Indigent Representation Task Force (Nashville, Tennessee): In order to guarantee that the indigent representation system in Tennessee is addressing the needs of its recipients as well as benefiting the taxpayers of Tennessee, the Task Force is reviewing the state’s current system of providing representation to the indigent. 6AC Executive Director David Carroll testifies at the Task Force meeting about statewide indigent defense commissions. September 21st — Indiana Public Defender Commission (Indianapolis, Indiana): 6AC Executive Director David Carroll presents the findings and recommendations from 6AC’s forthcoming October 2016 report of the first-ever statewide evaluation of trial level right to counsel services in Indiana since the state implemented what is widely known as “the Indiana model” for providing indigent defense representation. September 12th — Nevada Advisory Committee on the Administration of Justice (Carson City, Nevada): The Nevada legislature created the state’s Advisory Committee on the Administration of Justice as a body to build consensus among all criminal justice stakeholders and policymakers about how best to further the aims of justice and coordinate legislative action. 6AC Executive Director David Carroll presents the history of the right to counsel in Nevada and the findings of the Nevada Supreme Court Task Force on Indigent Defense. July 6th — It Could Be You, KABF Radio (Little Rock, Arkansas): Host John Sarna interviews 6AC Executive Director David Carroll for an hour on the state of the right to counsel in America and in Arkansas specifically. Topics include the absence of counsel in state misdemeanor courts and the appointment of counsel in name only in felony courts. June 16th — Right to Counsel National Campaign at American University, One-Hour Webinar (Webcast): In an effort to inform and engage policymakers, criminal justice stakeholders, and the community on the importance of meaningfully carrying out the Sixth Amendment right to counsel, the Right to Counsel National Campaign at American University, within the Justice Programs Office, hosts a quarterly webinar covering an array of Sixth Amendment related topics. 6AC Executive Director David Carroll presents a comprehensive overview of right to counsel legislation in the states from the most recent legislative sessions. You can view the full webinar here. May 20th — Council of State Governments – West (Salt Lake City, Utah): The Council of State Governments West supports legislative coordination amongst 13 western states (Alaska, Arizona, California, Colorado, Hawaii, Idaho, Montana, Nevada, New Mexico, Oregon, Utah, Washington, and Wyoming) and three territories (American Samoa, the Northern Mariana Islands, and Guam). 6AC Executive Director David Carroll presents a history of the right to counsel in the West while exploring pending systemic concerns and recent legislative victories. May 16th-17th — Committee to Review the Criminal Justice Act Program, national hearings (Minneapolis, Minnesota): U.S. Supreme Court Chief Justice John Roberts, Jr., appointed the Committee to Review the Criminal Justice Act Program. That Committee is conducting a comprehensive and impartial review of the delivery of indigent defense in the federal criminal system. 6AC Executive Director David Carroll testifies, by invitation, at the last in a series of hearings held around the nation. April 15th — Tennessee Supreme Court, Indigent Representation Task Force (Nashville, Tennessee): In order to guarantee that the indigent representation system in Tennessee is addressing the needs of its recipients as well as benefiting the taxpayers of Tennessee, the Task Force is reviewing the current indigent representation system. 6AC Executive Director David Carroll testifies at the Task Force meeting, as they begin this important evaluative work. April 14th — Harvard Law School, course on Criminal Procedure: Adjudication “from bail to jail” (Boston, Massachusetts): 6AC Executive Director David Carroll speaks to law students as part of a two-day panel of leaders who are engaging creatively in efforts to improve and reform the criminal justice system. Others on the panel are Victor Rosario, Cathy Bennett, and Ron Sullivan, in the finale to the course taught by Lecturer on Law Lisa Kavanaugh. March 29th — Boston University School of Law, seminar course on “Wrongful Convictions, Miscarriages of Justice, and the US Criminal Justice System” (Boston, Massachusetts): At the invitation of Prof. Michael Schneider, Jon Mosher explains to students “The Principles of Effective Indigent Defense Systems.” He is joined by Chauncey Wood, a private criminal defense attorney who specializes in post-conviction representation. February 20th — University of Georgia School of Law, 11th Annual Working in the Public Interest Law Conference (Athens, Georgia): Phyllis Mann joins a panel discussion on representation of defendants in misdemeanor offenses. Also on the panel are David Singleton, Executive Director of the Ohio Justice & Policy Center, and Gerry Weber, Senior Staff Counsel at Southern Center for Human Rights. U.Ga.’s Associate Professor and Director of Civil Clinics Alex Scherr moderates the discussion. February 6th — American Bar Association, Annual Summit on Indigent Defense (San Diego, California): 6AC Board Chair David Meyer speaks at the summit. November 10th — U.S. Department of Justice, Bureau of Justice Assistance, Right to Counsel National Campaign Inaugural Meeting (Washington, D.C.): Jon Mosher moderates a panel discussion on “Immediate Challenges to the Right to Counsel.” He is joined on the panel by: Judge Tom Boyd from the Michigan District Court bench; Chief Justice James Hardesty of the Nevada Supreme Court; and Senator Rodney Ellis of Texas. November 5th — Charles Koch Institute, Advancing Justice: An Agenda for Human Dignity and Public Safety (New Orleans, Louisiana): Phyllis Mann moderates a panel discussion on “Justice Delivered: Protecting Liberty and Gideon’s Legacy.” Fellow panelists are: Norman Reimer, National Association of Criminal Defense Lawyers; Doug Colbert, University of Maryland Carey School of Law; Jonathan Rapping, Gideon’s Promise; Kim Ball, U.S. Department of Justice; and Rick Jones, Neighborhood Defender Service of Harlem. Watch the panel discussion here. October 26th — KVNU, For The People (Utah): David Carroll is interviewed by Jason Williams about the 6AC report on Utah’s trial-level indigent defense services, The Right to Counsel in Utah: An Assessment of Trial-Level Indigent Defense Services. You can listen to the interview, which begins at 8:05 on the podcast. July 13th — National Association of Counties (Charlotte, North Carolina): David Carroll, along with Preeti Menon of the Office of Justice Programs at American University, presents a workshop at NACo’s 80th Annual Conference & Exposition discussing how county officials and public defenders can join forces to form safer communities. December 4th — Nevada Supreme Court (Las Vegas, Nevada): David Carroll provides testimony before the Nevada Supreme Court on the abolition of flat-fee contracts for public defense representation. October 31st — University of Tennessee College of Law (Knoxville, Tennessee): Jon Mosher presents an “Overview of the National Right to Counsel” at the UT Right to Counsel Symposium. The presentation describes the well-documented and long-standing systemic deficiencies across the country stemming from inadequate funding and resources and explains political and funding reforms responding to the crisis in indigent criminal defense. September 17th — Indiana Public Defender Commission (Indianapolis, Indiana): David Carroll discusses “Measuring the Right to Counsel in Indiana. April 18th — National Association for Public Defense (Lexington, Kentucky): David Carroll presents “Public Defense Workload: The National Perspective” at the NAPD’s three-day Workload Leadership Institute. March 18th — University of the District of Columbia Law School (Washington, D.C.): Jon Mosher participates on a panel discussion, “Gideon 2.0 – Guaranteeing Effective Assistance of Counsel.” The discussion follows a special screening of HBO Film’s Gideon’s Army. Fellow panelists include: Ed Burnette (moderator), National Legal Aid & Defender Association; Christopher Durocher, The Constitution Project; Jenny Roberts, American University-Washington College of Law; Santha Sonenberg, Public Defender Service of the District of Columbia. March 18th — Boston University, School of Law (Boston, Massachusetts): David Carroll follows up 2013’s address at BU with another discussing the impact of systemic indigent defense deficiencies on wrongful convictions. Special emphasis is placed on undue political and judicial interference, and the use of United States v. Cronic to get at how systemic deficiencies prevent even the best lawyers from providing constitutionally effective right to counsel services. February 26th — University of Baltimore School of Law (Baltimore, Maryland): Jon Mosher joins a panel discussion regarding the Maryland Court of Appeals’ recent decision in DeWolfe v. Richmond requiring the state to provide access to counsel at bail hearings and the implications of that ruling both locally and nationally. June 5th — New Jersey State Public Defender (Trenton, New Jersey): David Carroll makes a presentation on the state of indigent defense services in the United States and where national advocates tend to view New Jersey in relation to other states when it comes to providing an effective lawyer with the time and training to present an effective defense. A special emphasis is placed on the need for a statewide commission to protect the independence of the defense function, as New Jersey is just one of seven statewide, state-funded public defender systems where the chief defender is a gubernatorial appointee. April 9th — Brennan Center and John Jay College of Criminal Justice (New York, New York): David Carroll moderates a roundtable discussion on the constitutional right to counsel and the impact of Gideon v. Wainwright. Special emphasis is placed on what went right and what went wrong with indigent defense over the past 50 years and how to lay a path forward to fulfill Gideon’s promise. Panelists include: Karen Houppert (author of Chasing Gideon); Jonathan Gradess (Director of the New York State Defenders Association); Gloria Browne-Marshall (Associate Professor, John Jay College of Criminal Justice); and Thomas Giovanni (Counsel, Brennan Center for Justice). March 26th — Rutgers School of Law – Student Chapter of the American Constitution Society (Newark, New Jersey): David Carroll participates in a panel entitled “Gideon at 50: Providing Better Representation to Indigent Criminal Defendants.” Other participants include: The Hon. Patricia Costello, Superior Court Judge; Joseph Krakora, New Jersey State Public Defender; Alexander Shalom, American Civil Liberties of New Jersey; and Paul Fishman, United States Attorney for the District of New Jersey. March 19th — Boston University, School of Law (Boston, Massachusetts): David Carroll addresses the impact of systemic indigent defense deficiencies on wrongful convictions. Special emphasis is placed on undue political and judicial interference and the use of United States v. Cronic to get at how systemic deficiencies prevent even the best lawyers from providing constitutionally effective right to counsel services. March 12th — The Hamilton Burnett Chapter of the American Inns of Court (Knoxville, Tennessee): In honor of the 50th anniversary of Gideon v. Wainwright, 6AC Executive Director David Carroll is part of a panel, along with Tennessee Supreme Court Chief Justice Gary Wade, Knox County Public Defender Mark Stephens, retired District Attorney Paul Phillips, and Tennessee Administrative Office of the Courts General Counsel David Haines, discussing the state of indigent defense in America. What are we getting right? What are we getting wrong? How do we better deal with the problem? February 21st — Texas Southern University, Thurgood Marshall School of Law (Houston, Texas): David Carroll presents at a forum entitled: “Indigent Defense Systems and Policy Impact on the Quality of Legal Representation.” Mr. Carroll discusses the current state of the right to counsel in America and what national standards require of indigent defense systems. A particular focus is placed on the need for independence of the defense function and the removal of undue judicial interference. February 9th — The American Bar Association, Standing Committee on Legal Aid and Indigent Defendants, 2013 Summit on Indigent Defense Improvements (Dallas, Texas): 6AC Deputy Director Jon Mosher participates on a panel entitled “Annual Review of National Developments in Indigent Defense.” There, Mr. Mosher presents an overview of the most important right to counsel news stories from 2012. You can read a transcript of the presentation and view the accompanying slide presentation.